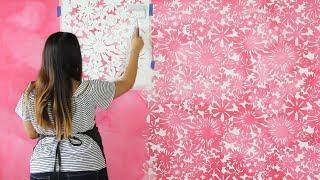 How To Stencil A Trendy Floral Accent Wall That Looks Just Like Wallpaper! 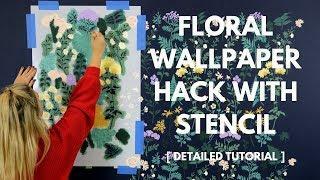 In this video Cutting Edge Stencils teaches you a SUPER EASY #painting technique that will make your fruit and greenery look three dimensional! Our Lemons stencil is right on trend! Florals, fruit stencils and botanicals are everywhere and we really liking the lemon craze! Finally, a great wall #stencil design for kitchens! 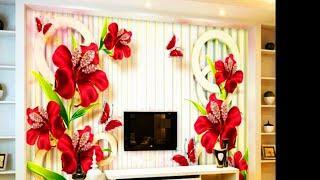 Of course, you can use this stencil in other rooms too, such as bath, bedroom and hallway. Perfect for nurseries, too! Now with the help of our lemon stencil and some acrylic or latex paint, your walls can be transformed into a serene lemon grove. Unlike pricey lemons wallpaper, our reusable stencil offers you an opportunity to choose your own color combinations and to be creative. Here are some details about the paint we used to complete this gorgeous accent wall! 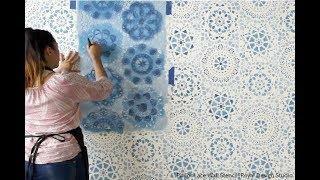 Cutting Edge Stencils also sells all the #stenciling supplies that you will need to complete any stenciling project. Cutting Edge Stencils wants to share THREE PRO TIPS for avoiding stencil bleed. 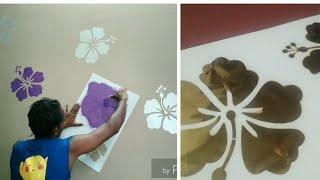 1) Spray the back of the wall stencil with spray adhesive. 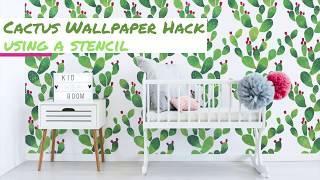 This will allow the stencil to stick to the wall and it doesn't leave a residue on your painted wall! 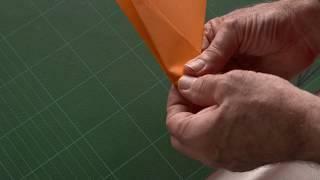 You can get spray adhesive from any local craft store. 2) Roll your paint on lightly! It's better to go back with a second coat of paint than press down too hard the first time and make a mess! 3) Make sure your roller isn't drenched in paint! 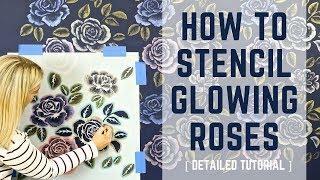 That extra paint will find its way under the stencil and your design will look smudged. 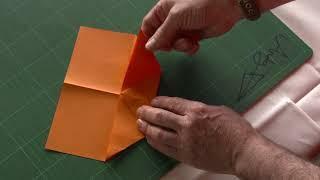 We recommend offloading any excess paint onto a paper towel! 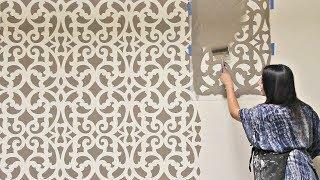 Stenciling walls is SUPER easy! Check out http://www.cuttingedgestencils.com/ to see other stencil designs. 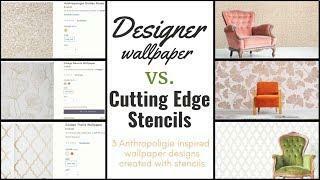 Who knows, you might even stumble across the perfect stencil design for your wall that can help you transform your space! Shop exclusively on Amazon, Houzz, or Etsy? We sell our stencils there too! Here are the links to our online shops! Subscribe with our channel on youtube! If you're proud of a stenciling project made with Cutting Edge Stencil's designs, submit photos to Facebook or Instagram and we will give you a shoutout!